These add-ons are available for products that you've purchased from my shop. Note: No physical product will be sent. 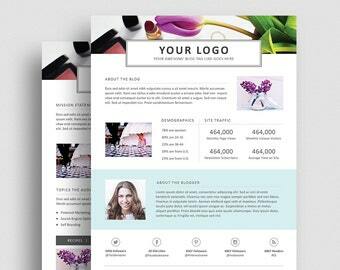 Includes filling in your text, photos and possible logo. 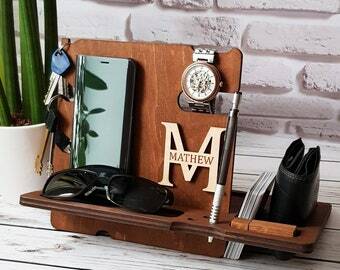 Can also customize the color scheme. The ready file will be delivered as editable Photoshop PSD file as well as non-editable jpg and PDF. No time to edit your media kit yourself? 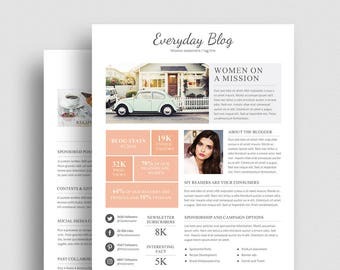 Need help with filling up your media kit template? I can do the filling in and color edits for you. 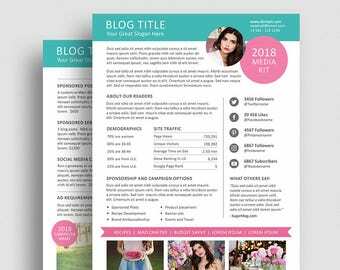 You will receive your media kit as a high quality PDF + as an editable Word or Photoshop file so that you can update your information in the future. Select the 'Media Kit Editing' from the add-on dropdown and add it to the cart and then choose your media kit. Choose any media kit template from my inventory 1, 2 or 3 page media kit and select the right editing (1, 2 or 3 pages) option from the Style dropdown. - Logo (if any) + images. Send as high quality images as you can. Higher the resolution, better the quality on the media kit. 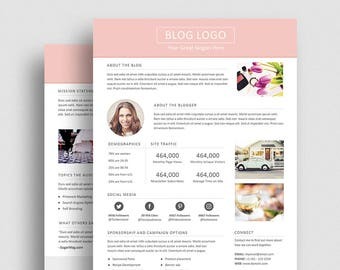 - Media kit content in an easy to read single document file. I can also send you a form to fill. - Colors. If you want me to use your blog or brand colors you can just include a link to your blog or website. This add-on does not include writing or proofreading of the media kit. Your media kit information needs to be in English so that I'll be able to properly fill it in. 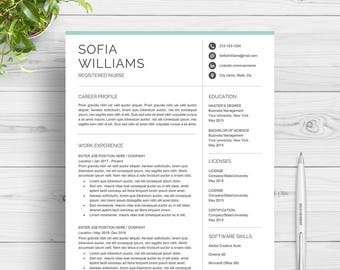 No time to edit your resume yourself? 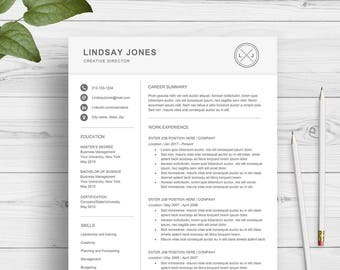 Need help with filling up your resume template? I can do the filling in and color edits for you. 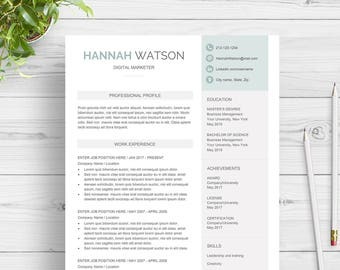 You will receive your resume as a high quality PDF + as an editable Word file so that you can update your information in the future. Select the 'Resume/1/2/3pages' from the add-on dropdown and add it to the cart and then choose your resume. 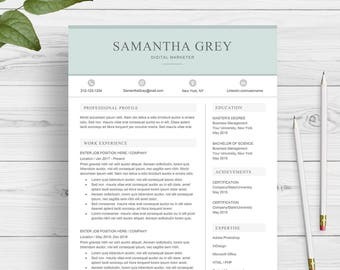 Once you have made the purchase send me your current resume (and photo if the template has one) via Etsy messaging. 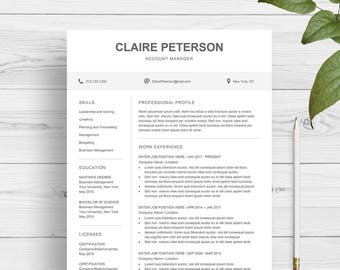 This add-on does not include writing or proofreading of the resume. 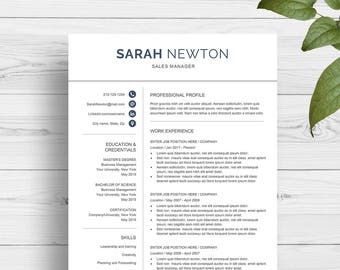 Your resume needs to be in English so that I'll be able to properly fill it in. 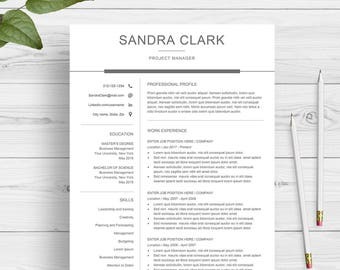 Includes matching and editable portfolio pages (2) for your resume. 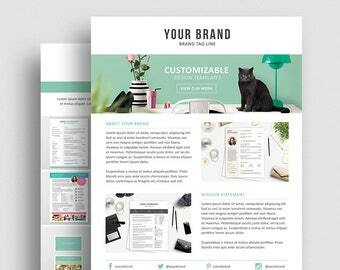 Delivered in docx or psd format for you to fill in your information. 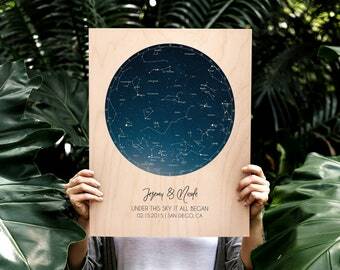 Mention in the notes how many projects you want included. Will be delivered including 2 pages and 7 projects total if not specified by buyer (view preview). If you have any special requests mention these in the notes to seller section. 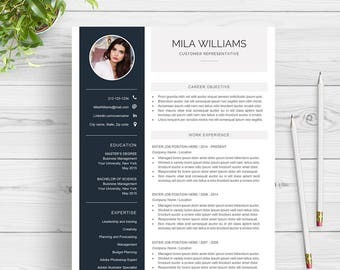 This service includes filling in your text, images (if template has any), colors and adding your logo to the business card. 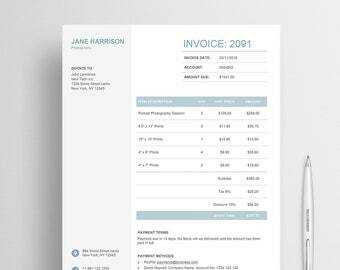 When you order this service remember to include all the information you want included in your business card in the notes to the seller section. Once the edit is ready you will receive your business card in JPG and PSD format. You can request other formats as well. Word format is not available for business cards. NOTE: this does not include customization of the card. This add-on only includes filling in your text, images (if template has any), colors and adding your logo as well as adjusting the bleed. The business cards are 3.5" x 2" and 3.75" x 2.25" with bleed. Different companies have different bleed size so always check the guidelines before submitting your card for print. 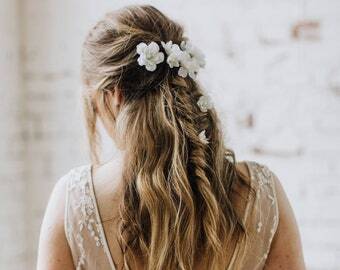 This is a custom order and creating the requested file can take 1-2 days once I have received all the necessary information. Specially if you order during the weekend it can take longer. If you are in a hurry, please ask for time estimate before ordering. I cannot start my work until I got all the necessary information and content from you. The template I received was perfect. 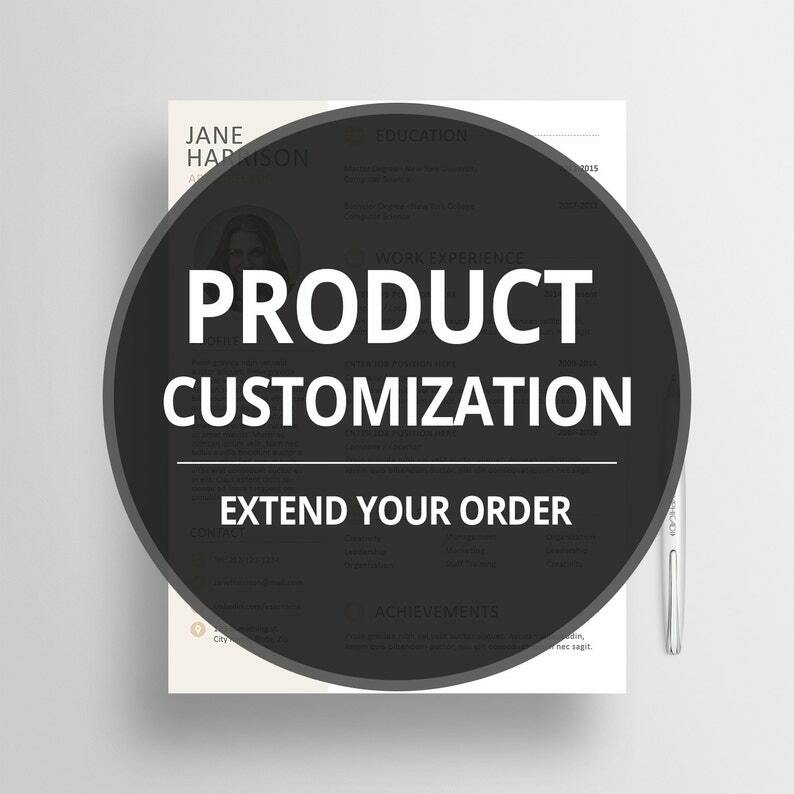 This process of having BoldStationery customize this template to fit my needs was so simple. The turn around time was in less than 24 hours. I look forward to working with Boldstationery again soon!